Good economic policy rests on a clear idea of what the state and business should do or leave to others. This clear division is missing in Industry 4.0. During a recent conference in Berlin, an industry leader quipped “Industry 4.0 is the first industrial transformation to be enacted by the state”. Surprisingly, the audience’s reaction was rather thoughtful nodding than giggling. If frequency of meetings and speeches who raise the topic Industry 4.0 is any indicator, one should assume that governments indeed play a key role in digital transformation. No wonder more and more managers have a slightly uneasy feeling. So what is the fuss all about? The key to understanding Industry 4.0 is the development of digital platforms. Platforms establish “two-sided markets”, in which platform owner, a provider who adds services on top of the platform, and customer interact. Nothing new in that – Jean Tirole won last year’s Nobel economics prize for his analysis of this triangular relationship. Digitization has certainly injected a wholly new dynamism into platformization. Amazon and Ebay have turned shopping into a platform experience, Uber is doing the same with the taxi market, Airbnb in the hotels business. German carmakers are buying “Here” in order to guarantee access to ultra-precise geo-data which will be a core technology of future mobility platforms. Elsevier is changing from a publishing house into a knowledge platform, integrating the contents of other publishers – the list goes on endlessly. Digital platforms are more than just facilitators: they determine the rules of the game in the market and alter value added structures. At this point everything gets political – and often broad-brush: Will German SMEs turn into slaves of a digital platform they can no longer control? Will we see the rise of unassailable digital monopolies, immune to competition due to strong network effects? Will value creation for the most part quit Germany because of the platformization process? This horror scenario is increasingly tied to a demand for an “active government.” The argument is not hard to guess: The bleaker the vision of Industry 4.0, the easier to justify state interventionism. So, do we need a new competition policy to trim the power of platforms? Is any ex-ante regulation of platforms justified? Should governments actively promote the development of national digital platforms? Just about as black is the image of “platform capitalism”. For Sascha Lobo and Byung-Chul Han digital platforms are the main drivers of a “hyper-capitalist” world. The produces a surprising alliance between leftist-orientated critics of platform capitalism and those – up to now – economically liberal-minded politicians favouring support for the industrial base. What unites them is a fear of the structural changes digital platforms trigger. The core problem is this: Both points of view are based on a rather simplistic definition of digital platforms, which ultimately leads to false conclusions. 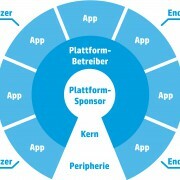 “Platformization” indeed is a mega-trend. Nevertheless, it is also a process leading to very diverse outcomes. We therefore urgently need a more nuanced understanding of platforms. This holds true above all for the architectural principles of digital platforms: while some concentrate decision-making power and value-creation at the core of a platform – that is, with their operators -, there are many other platforms doing the opposite: they push power and value-creation to the platform’s periphery. In many markets, such different types of platforms compete directly with each other. A good example are PC operating systems – one of the oldest digital and most versatile platforms: Whereas Apple OS X is a very closed system (inter alia it can only be used on Apple hardware), Linux represents the exact opposite: it offers almost limitless opportunities for inter-connectedness and leaves all options to the app-developer as well as the end-user. Platformization does not lead automatically to monopolies, either. A historical analysis platformization processes shows a remarkable consistency: many markets are structured by three to five platforms, featuring a rather even distribution of market shares. Competing platforms emerge rapidly when market players view existing platforms as too restrictive. The best example of this is the success of Android as an alternative to Apple’s closed iOS operating system for mobile phones. Android isn’t open enough for you? Well, Cyanogen is setting itself up as an Android offshoot that presents platform operator Google with fewer and fewer opportunities for encroachment. Another misunderstanding: Platformization is not always a disruptive process. Sure, there are disruptive platforms such as Uber that are attracting lots of public attention. In many cases, though, platformization is an evolutionary process. Interestingly, hardware plays a key role in some markets. Digital platforms in agriculture are dominated by large equipment manufacturers like Claas or John Deere. Newcomers find it tough to enter the market due to the importance of very expensive hardware. In Marc Andreessen’s words: Software might eat the world – but some chunks of hardware are definitely not easy to digest. And finally: Platforms are not unassailable. The horror scenario of a platform that due to network effects can no longer be challenged is probably a very unlikely scenario. The main reason: innovation! We tend to under-estimate the power and tempo of digital innovation. Remember the “Browser War”? In the late 1990s it was taken for granted that the internet browser was a key technology, prone to be a tool for market exclusion strategies. Legal action was taken against Microsoft’s attempt to bundle its Internet Explorer browser with the Windows operating system (vertical integration). As we know today, digital innovation did not stop with the Internet browser technology – the latter becoming less and less important due to the rise of the mobile internet. Today, 35m Germans connect to the Internet via their smartphone. Many of them do so with apps, bypassing any browser. A technology that loomed large as the “commanding heights” of the digital economy seems to be completely harmless just 15 years later – there might be a lesson here. Such a rather nuanced interpretation of platforms leads to very different policy conclusions than the apocalyptic vision of a world dominated by few platform monopolies. First and foremost, it would be foolish if governments would actively engage in platform building. Platform management is a highly complex task that requires a deep understanding of markets, which bureaucracies lack Arguing for government-sponsored national platforms is equally misguided. 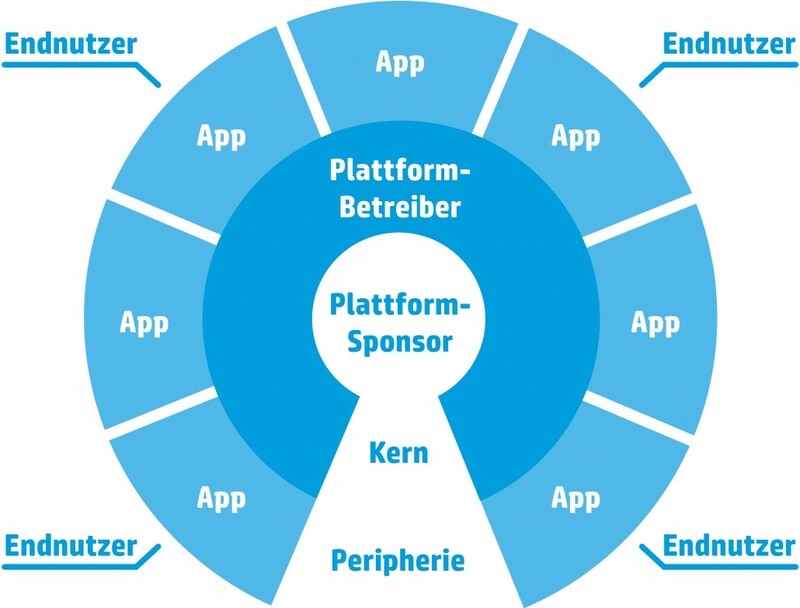 For a German SME it is irrelevant where the headquarter of a platform operator is located. It might matter much more whether a platform guarentees market access and a fair share of revenue for those who are operating in the periphery of a platform. Rather than engaging in national platforms, we should encourage German companies to get involved in international organizations. Policy-makers should focus instead on drawing up the best parameters for digital platforms to be set up in Germany. Here there’s a crying need for action: Court judgments have severely cut back liability privileges for platform operators in recent years. The more platforms are subjected to regulatory recourse the less and less attractive Germany as a place for platforms becomes – and all the harder it is for start-ups to build new platforms. We should also be careful with regard to reforming competition law rashly. Firstly, Digital platforms are not comparable to broadband infrastructures, and should therefore be treated differently. Such a demand, euphemistically described as “platform neutrality”, fails to recognize that platforms are not infrastructures but rapidly evolving business models. Plans to regulate platforms ex ante are the wrong way to go. Secondly, demands to measure market power on soft criteria such as “data power” would lead to a highly intransparent market environment and finally fewer investments in potentially fast-growing platforms. Rather, an evidence-based ex-post regulatory policy focusing on abuse of market power is the right approach. This leads to a rather nuanced message: Yes, Industry 4.0 and the platformization is a major trend, of huge importance to management and it might even be disruptive in some markets. But there seems to be little evidence to support the call for a major overhaul of our economic policy strategy. Setting the regulatory framework right and adapting it to the needs of a platform economy is a much more promising strategy than an “industrial platform policy” approach. Economic principles laid out in Germany’s post-war era might be more relevant today than ever.